During a trip to Europe, Christopher Newman, a wealthy American businessman, asks the charming Claire de Cintre to be his wife. To his dismay, he receives an icy reception from the heads of her family, who find Newman to be a vulgar example of the American privileged class. Brilliantly combining elements of comedy, tragedy, romance and melodrama, this tale of thwarted desire vividly contrasts nineteenth-century American and European manners. Oxford's edition of The American, which was first published in 1877, is the only one that uses James' revised 1907 text." Anthem is Ayn Rand's classic tale of a dystopian future of the great "We"--a world that deprives individuals of a name or independence--that anticipates her later masterpieces, The Fountainhead and Atlas Shrugged. They existed only to serve the state. They were conceived in controlled Palaces of Mating. They died in the Home of the Useless. From cradle to grave, the crowd was one--the great WE. In all that was left of humanity there was only one man who dared to think, seek, and love. He lived in the dark ages of the future. In a loveless world, he dared to love the woman of his choice. In an age that had lost all trace of science and civilization, he had the courage to seek and find knowledge. But these were not the crimes for which he would be hunted. He was marked for death because he had committed the unpardonable sin: He had stood forth from the mindless human herd. He was a man alone. He had rediscovered the lost and holy word--I. In the 'The Turn of the Screw' a governess is sent to take charge of two orphans. Unsettled by a sense of evil, she thinks that something malevolent is stalking the children. 'The Aspern Papers' tells the tale of a literary historian determined to get his hands on the letters of a great poet. Benjamin Franklin's writings represent a long career of literary, scientific and political efforts over a lifetime which extended nearly the entire eighteenth century. This volume includes Franklin's reflections on such diverse questions as philosophy and religion, social status, electricity, American national characteristics, war, and the status of women. Nearly sixty years separate the earliest writings from the latest, an interval during which Franklin was continually balancing between the puritan values of his upbringing and the modern American world to which his career served as prologue. This edition provides a new text of the Autobiography, established with close reference to Franklin's original manuscript. It also includes a new transcription of the 1726 journal and several pieces which have recently been identified as Franklin's own work. Barchester Towers (1857) is the second of the six Chronicles of Barsetshire, the work in which, after a ten years' apprenticeship, Trollope finally found his distinctive voice. In this his most popular novel, the chronicler continues the story of Mr. Harding and his daughter Eleanor, begun in The Warden, adding to his cast of characters that oily symbol of 'progress' Mr. Slope, the hen-pecked Dr. Proudie, and the amiable and breezy Stanhope family. Love, mammon, clerical in-fighting and promotion again figure prominently and comically, all centred on the magnificently imagined cathedral city of Barchester. The central questions of this moral comedy - Who will be warden? Who will be dean? Who will marry Eleanor? - are skilfully handled with the subtlety of ironic observation that has won Trollope such a wide and appreciative readership over the last 140 years. For this new edition, John Sutherland has contributed an introduction and extensive notes, as well as a chronology of the novel's composition and current events, and a note on Trollopian names. A brilliant tale of deceit and treachery. It relates how Jean Muir, a lovely and modest governess, wrecks havoc in the lives of her employers. All the men covet her while the women are livid with jealousy. The surprise ending reveals Muir's ulterior motive behind her daring scheme. Outstanding book in which Alcott voices her feminist beliefs through a strong female protagonist. Compelling! "Billy Budd, Sailor," a classic confrontation between good and evil, is the story of an innocent young man unable to defend himself from wrongful accusations. Other selections include "Bartleby," "The Piazza," "The Encantadas," "The Bell-Tower," "Benito Cereno," "The Paradise of Bachelors," and "The Tartarus of Maids." A True History of the Captivity and Restoration of Mrs. Mary Rowlandson (1682), perhaps the first American bestseller, recounts this thirty-nine-year-old woman's harrowing months as the captive of Narragansett Indians. The Autobiography of Benjamin Franklin (1771-1789), the most famous of all American autobiographies, gives a lively portrait of a chandler's son who became a scientist, inventor, educator, diplomat, humorist--and a Founding Father of this land. Old Times on the Mississippi (1875), Mark Twain's unforgettable account of a riverboat pilot's life, established his signature style and shows us the metamorphosis of a man into a writer. Four Autobiographical Narratives (1900-1902), published in the Atlantic Monthly by Zitkala-Sa (Red Bird), also known as Gertrude Bonnin, provide us with a voice too seldom heard: a Native American woman fighting for her culture in the white man's world. Taken from the Oxford Ibsen, this collection of Ibsen's plays includes An Enemy of the People, The Wild Duck, and Rosmersholm. This new translation by Richard Freeborn makes Turgenev's masterpiece about the conflict between generations seem as fresh, outspoken, and exciting as it was to those readers who first encountered its famous hero. The controversial portrayal of Bazarov, the 'nihilist' or 'new man', shocked Russian society when the novel was published in 1862. The image of humanity liberated by science from age-old conformities and prejudices is one that can threaten establishments of any political or religious persuasion, and is especially potent at the present time. Richard Freeborn is the first translator to have had access to Turgenev's working manuscript. An appendix contains the first English translation of some of Turgenev's preparatory sketches for the novel. Plautus was the single greatest influence on Western comedy. In fact, Shakespeare's Comedy of Errors and Moliere's the Miser are two subsequent classics directly based on Plautine originals. Plautus himself borrowed from the Greeks, but his jokes, rapid dialogue, bawdy humor, and irreverent characterizations are the original work of an undisputed genius. The comedies printed here show him at his best, and Professor Segal's translations keep their fast, rollicking pace intact, making these the most readable and actable versions available. This volume includes, The Braggart Soldier, e Brothers Menaechmus, The Haunted House, and The Pot of Gold. "A Tale of Passion," as its subtitle declares, The Good Soldier relates the complex social and sexual relationships between two couples, one English, one American, and the growing awareness by the American narrator John Dowell of the intrigues and passions behind their orderly Edwardian facade. It is the attitude of Dowell, his puzzlement, uncertainty, and the seemingly haphazard manner of his narration that make the book so powerful and mysterious. Despite its catalogue of death, insanity, and despair, the novel has many comic moments, and has inspired the work of several distinguished writers, including Graham Greene. This is the only annotated edition available. 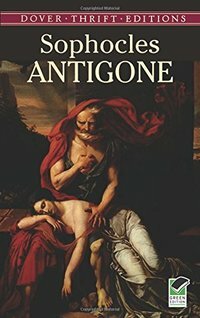 "Criticism" collects seventeen important essays on Hard Times-seven of them new to the Third Edition-by Hippolyte Taine, John Ruskin, George Gissing, Bernard Shaw, F. R. Leavis, Monroe Engel, Robert Barnard, David Craig, David Lodge, Roger Fowler, Patricia E. Johnson, Gorman Beauchamp, Martha C. Nussbaum, David L. Cowles, Jean Ferguson Carr, Eric P. Levy, and Leona Toker. A Chronology and revised Selected Bibliography are also included. What makes this masterpiece a pure delight for contemporary readers is its vibrant portrait of life in Edwardian England, and the wonderful characters who inhabit the charming old country house in Hertfordshire called Howards End. This cozy house becomes the object of an inheritance dispute between the upright conservative Wilcox family and the Schlegel sisters, Margaret and Helen, sensitive and intuitive women loved by men willing to leap wide social barriers to fulfill their ardor. Through romantic entanglements, disappearing wills, and sudden tragedy, the conflict over the house emerges as a symbolic struggle for England's future. Rich with the tradition, spirit, and wit distinctively English, Howards End is a remarkable novel of rare insight and understanding. As in his celebrated A Passage to India, E. M. Forster brings to vivid life a country and an era through the destinies of his unforgettable characters. Like most of Shakespeare's history plays, King John presents a struggle for the English crown. The struggle this time, however, is strikingly cold-blooded and brutal. John, the younger brother of the late Richard I, is the king, and a savage one. His opponent is a boy, his nephew Arthur, supported by the King of France and the Duke of Austria. After Arthur falls into John's hands, John plots to torture him. Arthur's capture gives Louis, the Dauphin of France, the opportunity to lay claim to John's crown. John's nobles support Louis, but he schemes to betray them. The stories differ widely in mood and setting. One is a cheerful political satire; another has, most unusually for Forster, a historical setting; others give serious and powerful expression to some of Forster's profoundest concerns. In a prose that is so beautiful it is poetry, we see the world of growing up and going somewhere through the dust and heat of Fresno's industrial side and beyond: It is a boy's coming of age in the barrio, parochial school, attending church, public summer school, and trying to fall out of love so he can join in a Little League baseball team. His is a clarity that rings constantly through the warmth and wry reality of these sometimes humorous, sometimes tragic, always human remembrances. 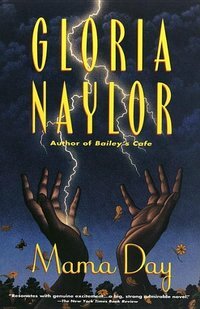 On the island of Willow Springs, off the Georgia coast, the powers of healer Mama Day are tested by her great niece, Cocoa, a stubbornly emancipated woman endangered by the island's darker forces. This is Elizabeth Gaskell's first novel, a widely acclaimed work based on the actual murder, in 1831, of a progressive mill owner. It follows Mary Barton, daughter of a man implicated in the murder, through her adolescence, when she suffers the advances of the mill owner, and later through love and marriage. Set in Manchester, between 1837-42, it paints a powerful and moving picture of working-class life in Victorian England.